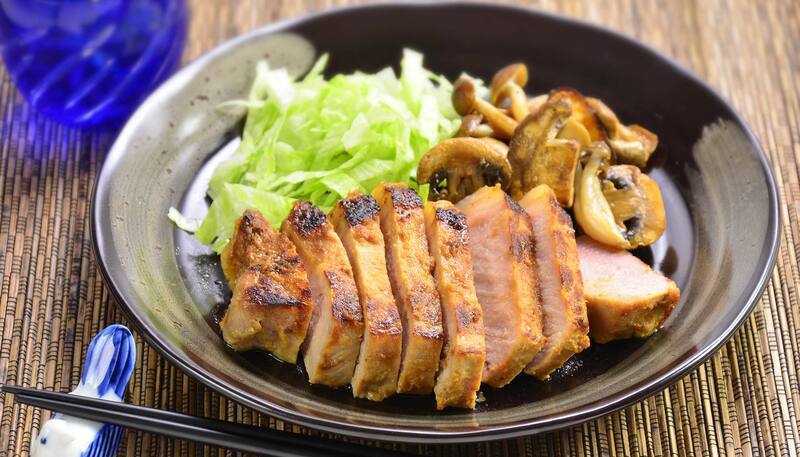 Pork chops marinated in a savory miso marinade and sautéd with your favorite mushroom. This has to be the best stir-fry combination since beef & broccoli! 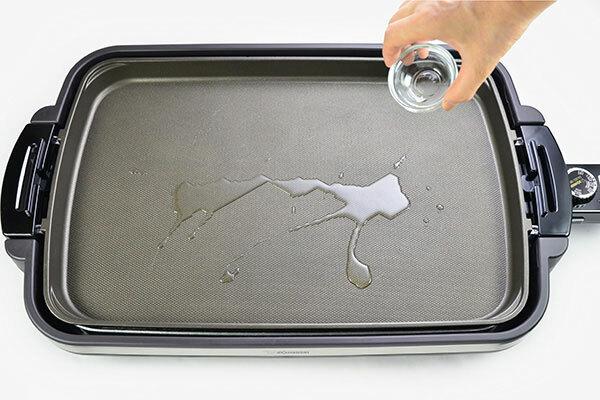 The large cooking surface of this griddle is perfect for this recipe, and provides even heating so you don’t have to keep adjusting the heat. 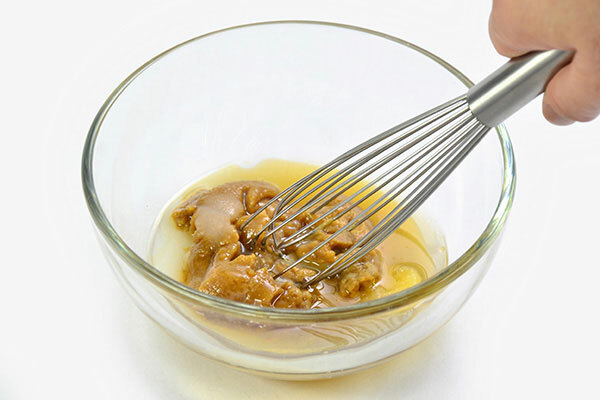 In a small bowl, place miso, sake, sugar, honey, sesame oil, garlic and mix well. 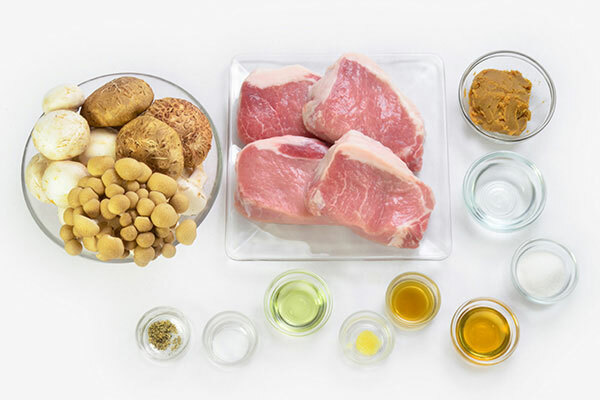 Place pork chops in a large plastic bag and pour miso mixture. 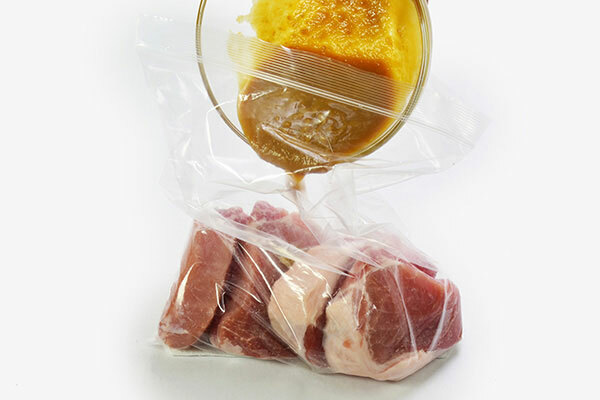 Tightly seal the bag and mix and distribute sauce with fingers over the bag. Marinate for 3 hours to overnight in a fridge. 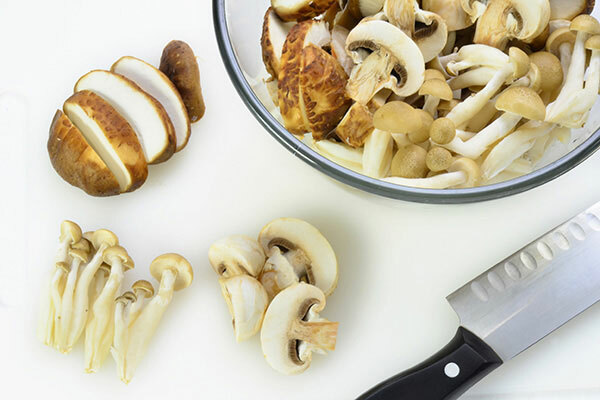 Trim base of mushroom stems and slice or separate into bite-sized sections. 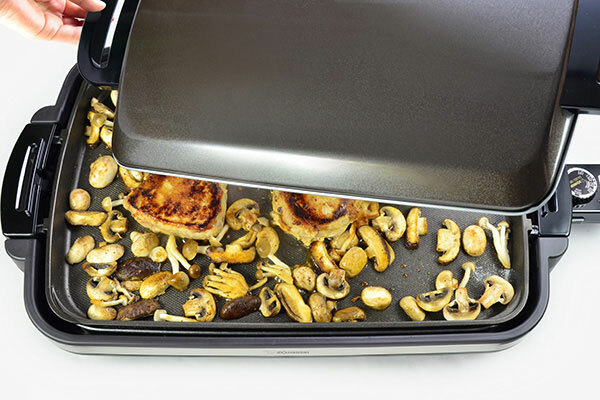 Turn the Gourmet Sizzler® Electric Griddle (EA-DCC10) control knob to 300°F. Wait until the operation light turns off and drizzle vegetable oil. 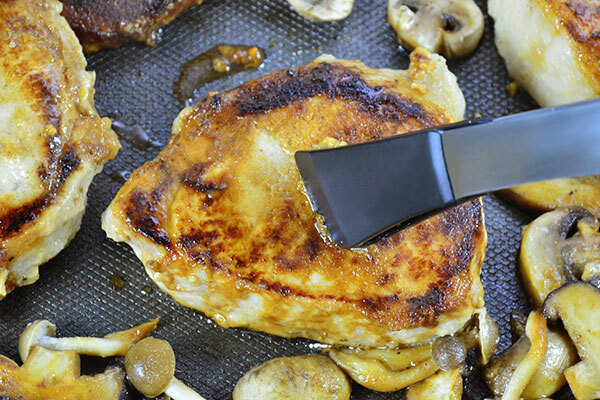 Place marinated pork chops on the griddle. 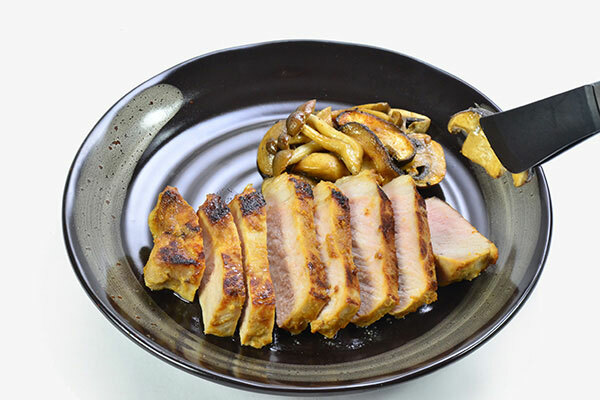 Add mushrooms around pork chops and cook for 2 minutes, or until the pork chops turn golden brown. Flip pork chops. Sprinkle salt and pepper over mushroom, stir and cover with the lid. Reduce temperature to KEEP WARM. Cook for an additional 15 minutes. Check for doneness by pressing pork chops with tongs. 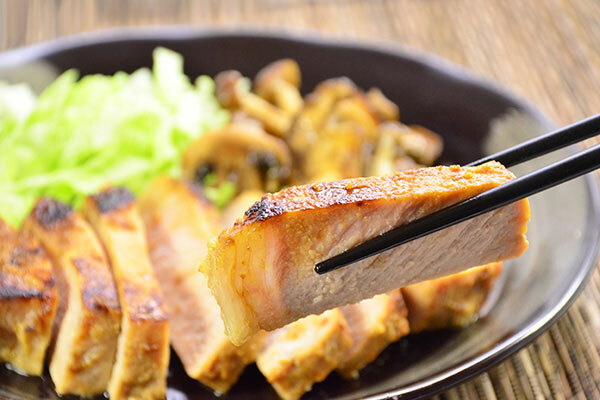 Pork chops should feel firm and springy. If it feels soft, flip pork chops and cook for another 3 minutes or until done. 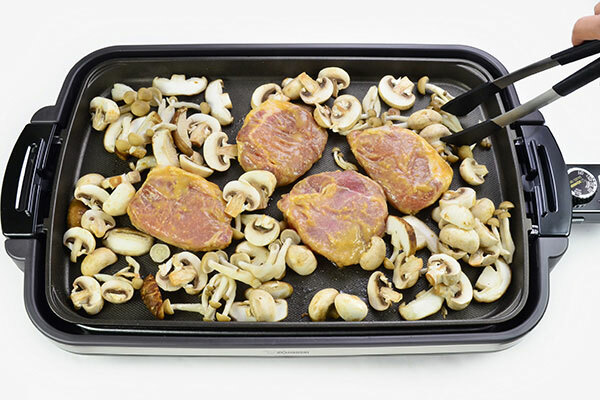 Remove pork chops onto a cutting board, slice into bite-sized pieces, and serve on a plate with mushrooms.